Coming up with a plan for our very long day on Saturday wasn't easy. As I mentioned in my previous post, the research for a Normandy trip took a bit more work than usual. Obviously, I planned out about how long it take to drive from each thing we knew we wanted to visit, but I also expected that we would make random stops along the way to see various memorials and sites that we did not know existed. We stayed on schedule for most of our stops though. Weather was dreary and a bit cold when we left in the morning, but within a few hours, the sun was shining which was terrific for coastal views, but the lack of wind made us regret the decision to wear jeans. We started our journey around 9am, and drove from Caen to Arromanches (approx 30min). There were several museums in the town, but we chose to only visit the 360 Panorama Cinema. We watched a very moving film that actual footage of troops marching through various towns (including Paris which was interesting to see), men in battle including some very gruesome scenes, and the liberation. It was a nice way to start our day (thank you, Kristen, for the idea). A 30 minute drive next took us to one of the big attraction of the day, the Normandy American Cemetery. 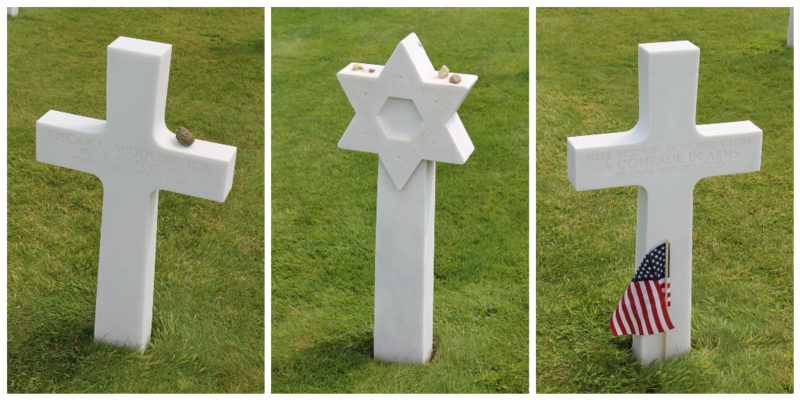 Marble crosses and Stars of David cover over 170 acres of land at Omaha Beach where 9,386 American troops are buried. The United States owns the land as it was a gift from the French. Seeing all of the crosses was surreal and I could have spent hours and hours looking at every single one of them. Before visiting the actual cemetery, we chose to make our way down to the beach where the much of the action took place. 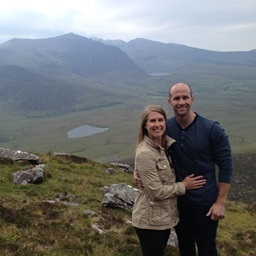 It was difficult to imagine such a beautiful place being a war zone. After visiting the cemetery, we took a short drive to where the Omaha Beach D-Day Monument was located. Another major site for our American military was located about 15 minutes from the cemetery at Point du Hoc. Four aspects make this a unique place to visit in Normandy: 1.) 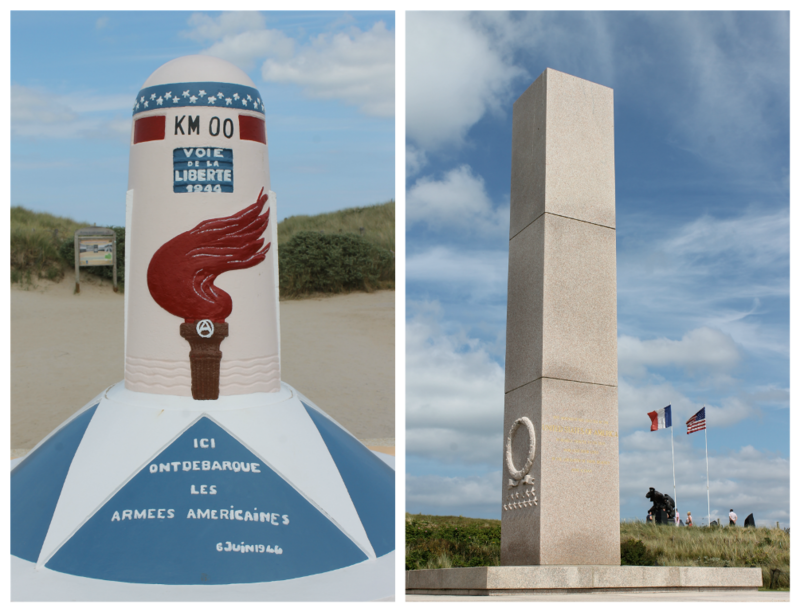 It is the highest point along the coast between Utah Beach and Omaha beach allowing for terrific views. 2.) 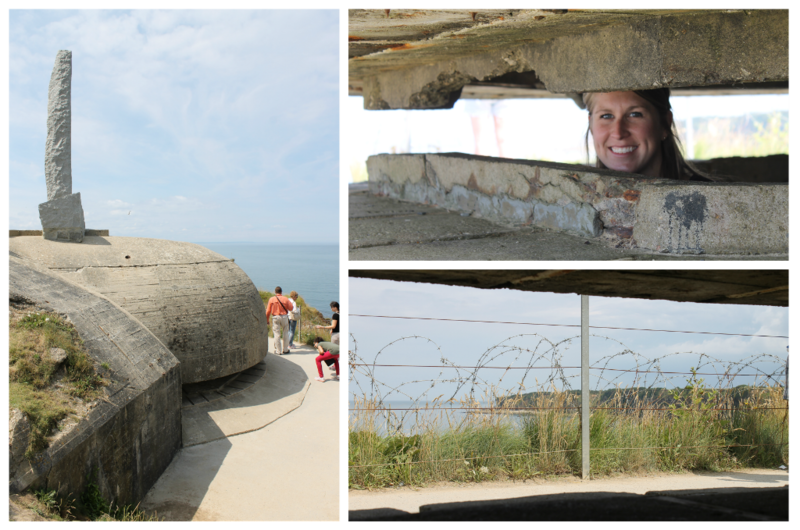 German bunkers still exist and visitors can climb on top of them and go inside of them to get a vantage point of the sea. 3.) The land is full of bomb craters with some being extremely deep and dangerous to walk near. And 4.) 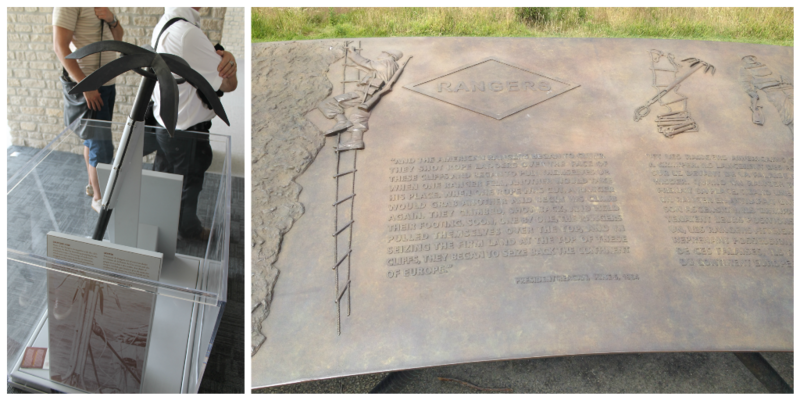 Our American Rangers climbed the 90-foot cliffs from the sea to capture the German fortified area. Much farther down the coast and somewhat out of the way from the rest of the main Normandy sites is Utah Beach. We were headed that direction anyway, so it was a must for us to visit. After about 35 minutes, we arrived to a beautiful beach that still had fortifications in the water. All of the memorials were dedicated to the American soldiers. Our last scheduled stop of the day was to La Fiere and the La Merderet bridge, but that will be a separate post. 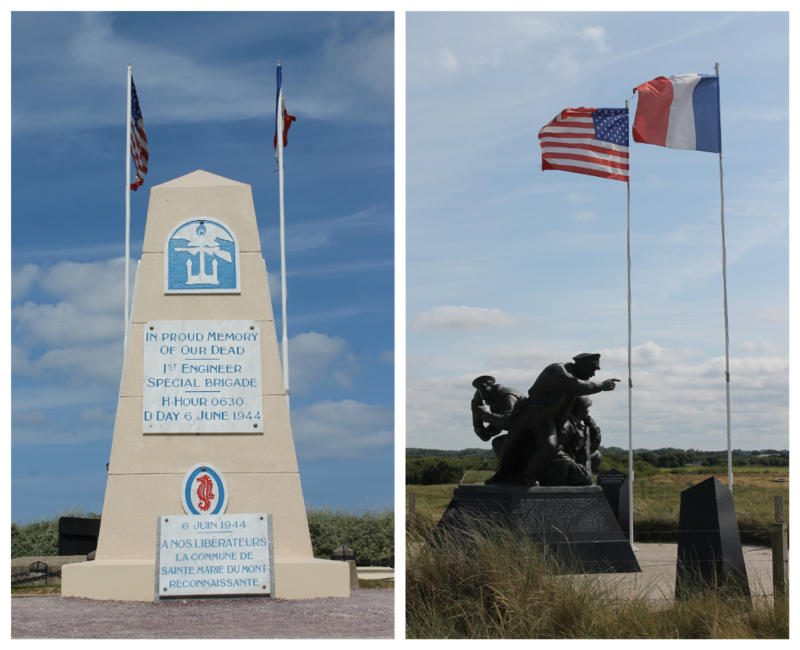 It was about 3:30pm by the time we left Utah Beach, so we made great time! Everything that we saw throughout the day was like a dream. We hardly ever see anything dedicated to the Americans when we travel, so this was a great reminder of how brave our country was during the war. A proud American I was! The German forces expected the Normandy invasion to occur around Calais (where we arrived by ferry in France) rather than the five beaches much farther west along the coast. On June 6, 1944, 156,000 Allied troops crossed the English Channel by 8am to begin liberation of Europe.